To wit: Taylor Swift’s open letter to Apple regarding the “free trial” period for Apple Music, during which the 12th largest company in world decided it would not be paying royalties to artists and rightsholders. Props to T-Swift for standing up on principle. Her letter seems to have turned the tide in Cupertino—as of Sunday, Apple had scrapped their previous policy and decided to pony up during the free trial. But as is typical in the wild and crazy world of the music industry, there’s more to consider. 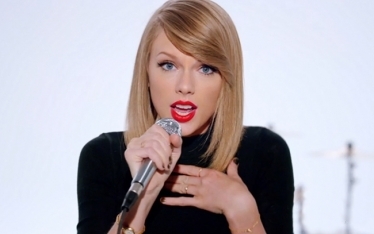 Here are five things to keep in mind about Apple Music, Taylor Swift, independent labels and working artists. 1. Taylor Swift is a force to be reckoned with. 2. Most of the artists and music managers we talk to want streaming to work. There are concerns about who streaming ultimately works FOR. Right now, there are crucial debates about everything from how royalty calculations are made on the mainstream services to potential alternatives to the full-catalog model. You can be part of these conversations at the 15th Future of Music Policy Summit (Oct. 26-27, Georgetown University, Washington, DC)—registration is open; what are you waiting for? 3. Apple is a really big company. Like, huge. They don’t really even need music at this point, apart from the brand benefit. So it’s pretty significant that they decided to change their policy. This will likely have a ripple effect and may end up impacting how “free” is perceived on other platforms. It’s impossible to predict where things will end up, but our immediate takeaway is this: there’s a difference between “ad-supported” free music, where rightsholders are paid, and “let us use your music for free to grow our business,” where they are not. Apple made such a big deal about the fact that their service would be straight-up subscription that it’s somewhat surprising that they’d step in it like this. Especially when they have more cash on hand than the US Treasury. 4. Indie labels deserve a ton of credit for this outcome. The global independent label community was first to point out how strange it was that Apple would force them to give away their music for a quarter of a year in what seems like a brazen attempt to displace Spotify. The Worldwide Independent Network, the American Association of Independent Music (A2IM) and indie label chiefs like Martin Mills from Beggars Group had already suggested that they weren’t willing to subsidize the free trial before Taylor Swift wrote her letter. However, both pressure points were important to the result. One represented a business community pushing back against deal terms; the other a savvy artist with a strong moral argument and fanbase that could create a PR nightmare even for a company as generally well-loved as Apple. 5. Services like Apple Music, Spotify, Rdio and Rhapsody don’t compensate artists directly. They pay the labels, and the labels pay the performers under contract. Unafilliated artists are paid through aggregators like CD Baby, Tunecore and DistroKid. So this complicates the picture as far as artist revenue is concerned. Debates about “freemium” models and royalty calculations are very important, but so is the idea of transparency in the overall industry. Future of Music Coalition is all about making sure that artists have a more complete picture of all the business and legal structures that impact their livelihoods. We’ll keep on talking about all of it—from Taylor Swift to tomorrow’s visionary music-makers. We’re psyched you’re with us.